Paleo diet friendly, diabetic friendly crackers that are gluten free, sugar free, natural and delicious are few and far between. Am I right? If one does find such a beast...they are usually ridiculously expensive and will make anyone omit crackers from their diet forever, rather than try to buy them. Most of the ones I've ever tried that fit those guidelines have been very flat...in flavor and appeal. They were great for Chinese throwing-stars though...(now there's a visual). Have you ever seen me in my ninja mode? You know, complete with baguette-nunchucks, poison dart-shooting pastry bags, and sharpened spatula daggers? No? That's right. You never will. I'm too amazing of a ninja for anyone to ever actually see me in full ninja-garb. Be afraid. 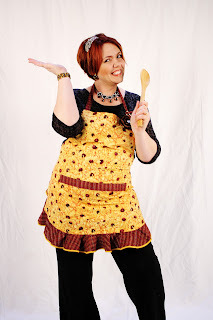 I was completely blown away when I attended an almond flour cracker class with fitness coach and wellness instructor Laura Madden and saw the 4 ingredient simple recipe for almond flour crackers! It was from the The Gluten Free Almond Flour Cookbook by Elana Amsterdam and I fell instantly in love with the crackers. By the way, the book is a must-have read if you're wanting some practical and delicious options for baking low-glycemic gluten free foods. 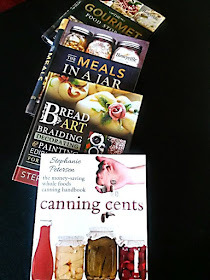 I've been impressed with all the recipes in her books that I've tried! Visit Amazon's Elana Amsterdam Page for more information on her books. I'm a big fan. Have you ever met my favorite Almond Flour? On this one I'm brand specific for a reason. This is the finest milled almond flour I can find and it has remarkable texture in baked good. I didn't want almond meal. I wanted a flour that would bake remarkably well. Thank you Honeyville! Almond flour is a great alternative for those who are going gluten free and still wanting to watch their carbohydrate intake. It is a source of “good fat” as detailed by the American Heart Association, and is an ideal recovery food for athletes. It keeps you full longer and helps maintain weight loss as well as assist in weight loss. It is proven to help maintain good blood sugar levels. 100% pure skinless almonds, no additional ingredients added. Blanched Almond Flour is simply skinless almonds that are milled into fine flour. The only process that occurs, other than pasteurizing and milling, is a hot water bath to remove the skins from the almonds. Store in the refrigerator after opening and keep in a cool dry place. Use your flour within a year at the most. Directions: Pre-heat oven to 350 degrees. Combine all ingredients until a thick dough is made. Place dough on a baking sheet lined with parchment paper or a baker's mat. Cover the dough with non-stick parchment paper. Roll thin between the sheets using a small rolling pin or pressing with your hands. I have a rolling pin that I love and it works great for crackers. Remove the parchment. Lightly cut crackers into 1 inch squares. If you use a baker's mat you can use a simple pastry roller that won't cut the mat. Roll to 1/16th of an inch thin. Bake 350 degrees 12-15 minutes (depending on the thickness of the crackers). Store in an airtight container...if they survive that long. I'm not using them as ninja-stars. They're making snack-fest status for sure! There you go! Make some Almond flour crackers! Well that's amazing comments here! there is the one affair that you can do as a parent.Not let your adolescent go with out amore from you and be abiding to acquaint them accustomed that you adulation them. I made my first batch last week and had to buy more almond flour before I could remake. I topped with various seeds from my pantry (think I'll try just a little egg wash this time). Sesame seeds were OK, but I found both dill seed and anise seed very tasty. I must have eaten at least 3 little crackers every day at some time (so they are gone). 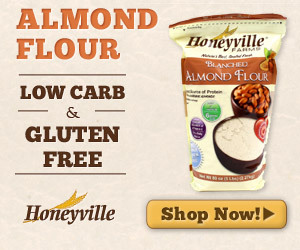 Just placed an order for almond flour and other supplies at Honeyville. Price for unbleached 25# container makes it much better than the 1# bags at supermarket. I plan a cinnamon variation too. But should remark on some general things, The web site style is ideal, the articles is really excellent : D.